This morning I met up with my running buddy, Kim, for a long run on the Dora Trail and New River Trail. We hadn’t seen each other or run together since March! That’s like a decade in girl world and a century in running world. We had lots of catching up to do 🙂 It was great to see her and great to catch up and share the new things going on in our lives. We ran 8 miles and my legs were feeling pretty sore and tired. I guess they may still be fatigued from Thursday’s track workout, even though I took a rest day yesterday? Other than that I really enjoyed running with Kim and it was the perfect weather outside for a long run: 52 degrees and overcast. After our run, I stopped by the grocery store on the way home to pick up Sol for a cookout we’re going to tomorrow. 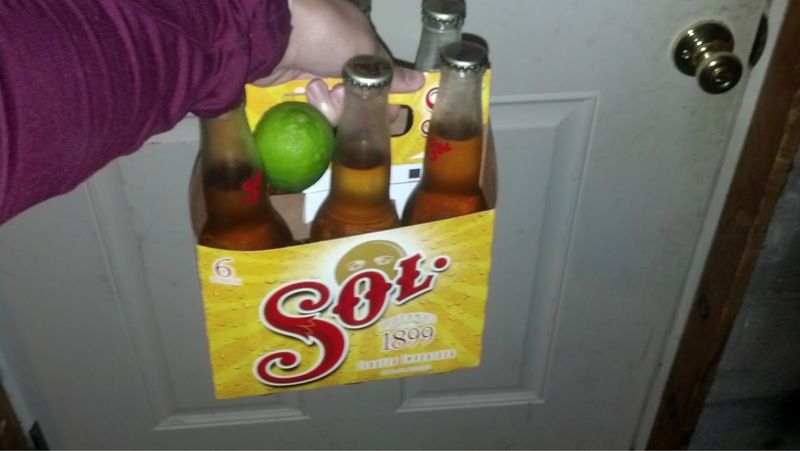 I discovered Sol when I went to Mexico my freshman year of college for my cousin’s wedding. It’s similar to Corona, but better! Once I got home I iced my shins. I have a history of having shin problems (shin splints, stress fracture) and they have been bothersome since I ran on the boardwalk at the beach. I will be doing lots of extra stretching, icing, and foam rolling to try and keep my shins and calves healthy. I did a big grocery store trip yesterday (yes, I went to the store two days in a row, but the one yesterday did not have my beloved Sol). They were having a big summer sale and had a lot of produce on sale. I got strawberries, apples, pineapple (99 cents for a whole pineapple!! ), pears, bananas, tomatoes, avocado, mango, and a cantaloupe. Safe to say I love fruit. I also stumbled across these new Cheez-Its. 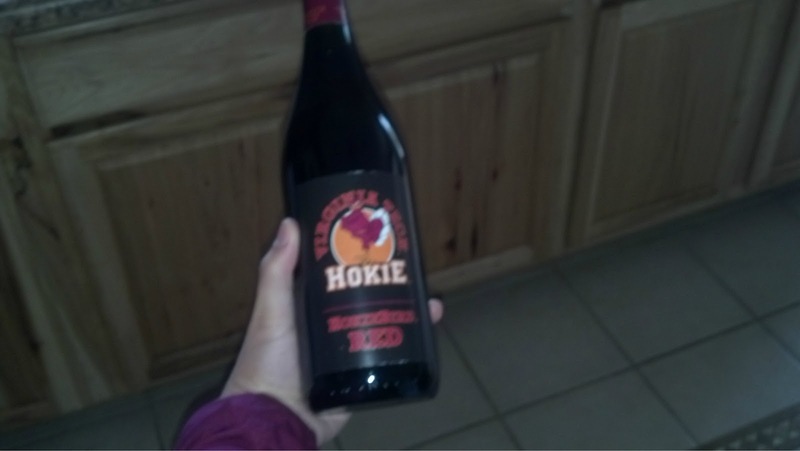 I have no idea if it’s any good, but how can it not be when it has the Hokie Bird on it, right? Do you have a problem area/injury that comes back to haunt you over and over? Have you ever tried Sol? If you drink alcohol, what is your favorite drink? Have you tried any new foods lately? What were they? Strange encounters on the run and my new favorite running shorts! I love Cheez-Its but when I try their different flavors, I don’t like them. The flavor just seems so…fake and powder-y. Maybe I will try though. I am heading out for 14 miles soon and definitely plan on opening a beer upon my return. Haven’t tried Sol. I like local micro-brews, so I guess that makes me a beer snob but I am always willing to try new beers, especially if they go well with lemon or lime! This is the first flavor I’ve tried besides the original one and the white cheddar one. Sol goes great with a lime, so maybe you’d like it! 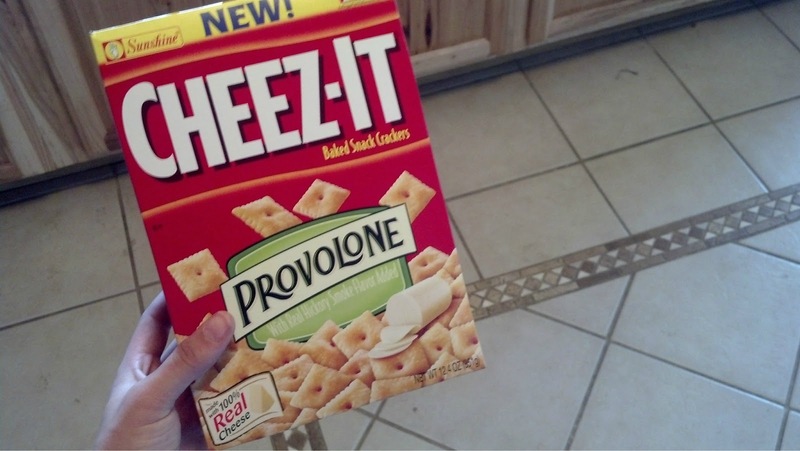 We don’t have provolone Cheez -its but if they ever make it here I’m in. I’m ashamed to say I’m dying to try the new margarita flavored beer I saw a commercial for. Too bad I can’t remember who made it. Hmmm margarita flavored beer? That sounds pretty wild! I LOVE Cheez-Its. I don’t buy them. My sister-in-law jokes that when she was in labor my brother was sitting in the room, watching Sports Center while eating a box of Cheez-Its. I will most definitely try the provolone flavor and then never buy them again! Have you tried the new triscuit flavors? I have to be careful of how many I eat at one time! That’s too funny about your brother, haha. I bought one of the new ones (after seeing it on your blog :)) I got the red pepper ones and they’re really good! So strange, because I had my first Sol on Friday night. I DO NOT LIKE BEER. But I’d been out and about, sweating (obviously – Singapore), and was overheated and tired. My husband had just sat down to his dinner (I’d eaten already) and a Sol when I got home. How ironic! Glad you didn’t think it was as gross and most beer 🙂 I hate any kind of dark beer, but the lighter ones are okay to me. I’ve gotta keep an eye out on my left knee. It’s got some cartilage problems that becomes annoyingly obvious when I overdue it on mileage or don’t do enough strength training in the muscles that support my knee. I’m not normally a huge beer fan, but I love Sunshine Wheat from New Belgium (or perhaps I am biased because it’s from my hometown and I think the company is the bomb?) They didn’t have it out here on the East Coast last summer, but I’m hooopppinnngg to see it soon! Zach and I actually aren’t huge drinkers…I think I drank enough when I was studying abroad in South Africa (I went to school in the wine-making region…oops!) to last me a few decades. I’m a big fan of the Pepper Jack and Hot & Spicy varieties. We haven’t had them in forever, though. Great job on your 8-miler!! Longer runs are always better with a friend to catch up with! I’m also usually much more fatigued two days after a hard workout (DOMS, perhaps?). I hope your shins feel better!!! Nagging injuries are the worst! Every time you start being able to run more they flare up again. Hope your Sunshine Wheat makes it to the East Coast! Haha so true! It’s funny that you say that. 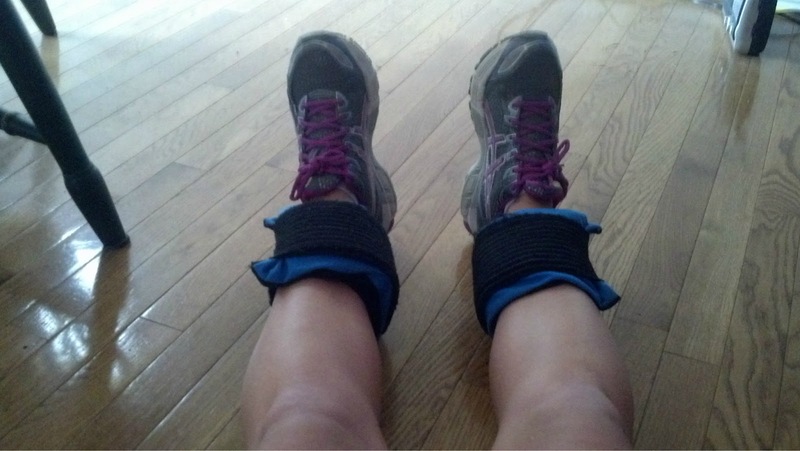 Last fall I had just finished a long run and was walking around the house with these exact ice packs on my shins when my friend came over. she totally thought I was wearing weights on my ankles and that I had done my 10 mile long run with them on!! My shins haunt me, too, every time I overdo it. I’ve learned what I need to do to keep them happy but sometimes I don’t listen to my body. Haven’t had that beer…I’ll have to look for it!